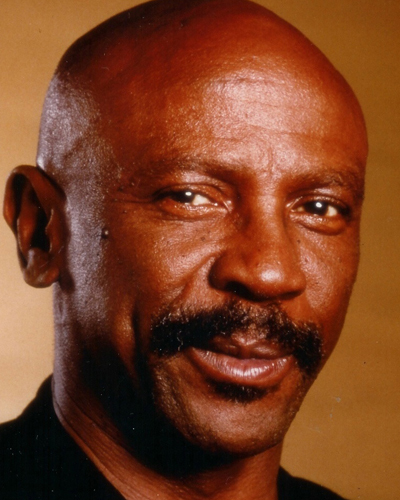 Louis Cameron Gossett, Jr. (born May 27, 1936) is an American actor. He is perhaps best known for his Academy Award-winning role as Gunnery Sergeant Emil Foley in the 1982 film An Officer and a Gentleman, and his Emmy Award-winning role as Fiddler in the 1977 ABC television miniseries Roots. Gossett has also starred in numerous film productions including A Raisin In The Sun, Skin Game, Travels with My Aunt, The Laughing Policeman, The Deep, Jaws 3-D, Wolfgang Petersen’s Enemy Mine, the Iron Eagle series, Toy Soldiers and The Punisher, in an acting career that spans over five decades.